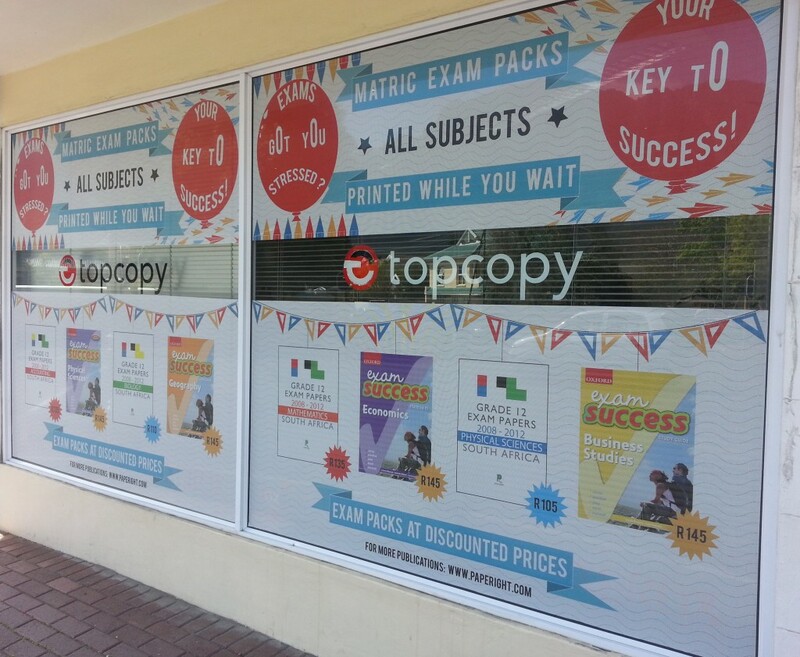 We love Top Copy‘s amazing window-dressing here, advertising Paperight books and exam packs for matric students. There are several schools in the area, and this window, facing a busy corner, is sure to attract attention and drive business. It’s eye-catching, very clear about which titles are on offer, and includes prices (very good ones, too).